When Singapore gained independence in 1965, its population stood at 1.9 million and its land area was 582 sq km. Today, there are 5.3 million on this island of 710 sq km. The latest White Paper on Population plans for up to 6.9 million people by 2030, with land area growing to 760 sq km. Through the decades, as Singapore grew, some physical spaces changed forever even as new ones were created. How did this affect citizens' sense of space and quality of life? Jessica Cheam speaks to five to find out. I remember in 1997, the first Starbucks opened and I was excited. It was heralding the arrival of Singapore as a global city, that we were considered affluent and cosmopolitan enough for Starbucks to set up shop. I also recall in primary school, memorising the fact that the population of Singapore was two million. At that time, it seemed like a lot, but now it seems so small. At some point in the last five to 10 years, we got crowded. We also have a lot more commercial space now, in the form of shopping malls, offices. We need more community spaces where people can hang out and do their own thing. And it should be a place that everyone can have access to, at little or no cost. The national library, for example, is beautifully built and well-ventilated on the ground floor. The cafes are cheap and I see retirees who sit there all day to talk. We need more of these spaces. In our eagerness to develop, we also forget that there is value in leaving things alone. People may not want to move, they want to live and die in the same place, and they want to have a sense of belonging. Bonds and community ties break whenever people are forcibly relocated, or when physical spaces are destroyed. Most of my years growing up were spent at school and playing and cycling with my brother and other children in the large compound of Normanton Park. We moved to Pasir Panjang and the area was quite industrial. But we had West Coast Park, and I recall that even till the 1980s, I could spot Malay fishermen coming home in their boats from a day at sea. We would go jogging with my father, and families would enjoy the big open spaces, fly kites. But slowly, more and more of the park was lost to port activities. Now, what's left is a much smaller version. I remember during those schooling years that the buses and trains would be empty in between peak hours. You had your personal space and it didn't feel hectic. Now, it feels like it is crowded no matter what time of the day, unless it is late at night. Singapore is a lot more built-up now, and it's nice that we have great parks. We've proved that we can live in the tropics, in an urban environment and it's still green. Our public housing is also something to be proud of - it's reliable and liveable. But we have to reinvent urban living further if we have to share our limited space with even more people. We do not have a hinterland and people cannot go to the countryside and find cheaper areas to live. Now, to some extent there's a crisis of faith in the system, since our infrastructure broke down or choked in the last few years. I don't know what's the optimum population, but I think each person just wants to have enough space to live, do things like find the right person, job and home. It's not a bad thing having foreigners in Singapore. The issue is more about absolute numbers. People get territorial when resources are scarce. If the 5.3million here were all native-born Singaporeans, we'd still be grumbling, just about each other. It's the numbers that are creating tension. The more we squeeze on this island, the more people will want to claim space for themselves. When there isn't enough physical and, importantly, intellectual and spiritual space for individuals to breathe, they will start fighting for what little space there is. Thinking about Singapore's future, I feel it's not about how many parks are within walking distance of a home. It's about whether you even have the time or inclination to go to the park. Do you have the freedom and space to dream about the world beyond the stresses of daily life? Do you care about the stranger next to you on the bus, train, at the hawker centre?" The years of my childhood had a kampung feel. There were fewer big brands, fewer cars and more open green spaces where we could play football. The 1990s were etched in my mind as the decade of the MRTs. Suddenly, MRT stations and trains were everywhere. The CTE tunnel was built and the North opened up. My church, Mar Thoma, was demolished for the CTE - one of many buildings that made way for Singapore's development. I recall the expansion of Changi Airport, the building of Tuas, and the ERP gantries being erected. It reflected Singapore's fast pace of development. At the same time, I was also aware of the efforts to preserve certain parts of Singapore, for example, the shophouses, which have architectural and historical significance. The other great thing Singapore has done is to keep our city green, with trees and parks. It was around the mid-1990s, just as Singapore was approaching four million people, that I felt parts of town were getting crowded. Queues were starting to form on public transport, some people started pushing on trains. This has got worse in recent years as infrastructure has struggled to keep up. Of course, there have been many benefits from Singapore opening its doors to migrants. There is a vibrant diversity in our culture and food, adding a certain buzz to Singapore. I feel my own life has improved with Singapore's cosmopolitan make-up. I love meeting new people, learning about their cultures and ways of thinking. But as Singapore's population crossed into 5 million, it feels like it is too much and too fast. Some here are feeling that it's easier for people to come here than for us to go to other countries, so we're at a competitive disadvantage. Ideally, we could have a world with open borders, where anybody can live and work in countries seamlessly, but we don't. I enjoy the new bars and restaurants that have opened up across Singapore, creating new community spaces. But on the other hand, there seem to be parts of Singapore no longer frequented by locals, as enclaves of foreigners form. In some way, it has become a mosaic instead of a melting pot. We also cannot build Singapore up such that the whole island looks like Manhattan. This might be the nature of a global city, but Singapore has to be both a city and a country. To give the planners the benefit of the doubt, I think Singapore could go up to the projected 6.9 million if we plan well and with technological innovations. But the key thing is keeping things affordable for citizens. Singapore's achievements in economic growth in the past decades have also led to greater inequality and we have to address it. Our Singaporean identity is also changing as we know it. It is changing into one of a global city's hotchpotch identity. Maybe this is our destiny, but we should savour the memories while we can. It was some time in 2011 - when the two integrated resorts opened - that I physically felt that our sense of space had changed. I could no longer walk into restaurants on a weekend without reservations, and traffic jams became a regular feature. Now, I spend more time eating at home instead of restaurants. I try not to enter the Central Business District or Orchard Road during peak hours. My family also started exploring places less frequented by people - some of these behavioural changes are good as we find new ways of enriching our lives. With more people, I also feel that Singaporeans are now less inward looking and more outgoing in character. The Singapore of old was a country very different from what it is today. Beach Road used to face the sea directly and I recall the smell of the sea while walking along the road. Bukit Timah, where I used to live, was a wooded, low-density housing area with many bungalows. The old Singapore was a charmer - tranquil and free in spirit - but it was also filthy, with rubbish lining the streets and canals. Today, we enjoy a clean and efficient environment, although space is scarce. I remember Nicoll Highway for its unique three-segment road, with the middle road that was reversible depending on peak flow. Further down the road near Fort Road was the famous Katong Park - a tiny seafront park popular with young families for picnics. I also fondly remember the unusual fenced-up swimming pool at the seafront of Changi Swimming Club. The reclamation of East Coast has completely wiped out these places. Perhaps we should have left a waterway to mark the original shore line. The turning point for me, marking the urbanisation of Singapore, occurred in the 1980s, when the OCBC Bank skyscraper rose from rows of dilapidated shophouses. It seemed to point a way into the future, from which there could be no turning back. As Singapore went into the 1990s, tall buildings sprang up. I remember my first high-rise condominium project as an architect - The Bayshore - in the east. We were all concerned that it would be very uncomfortable from a spatial point of view. Today, this is history and we are coping with density many times higher. I feel it's impossible for any successful city to cut itself off from foreigners. A great city is one that provides hope, opportunities and livelihoods. New York, London and Shanghai are such great examples. If a city wishes to remain in isolation and maintain its "integrity", it will soon run the danger of irrelevance and obsolescence. Maintaining social harmony among locals and foreigners is the more important issue. Our planners are facing a huge challenge as planning is long-term in nature and implementation takes decades. Unfortunately, shorter economic cycles and global competition demand shorter-term masterplans and planners must be nimble and make changes, where necessary. Our quality of life now needs to be defined in the context of high-density living. We can no longer dream of living on the ground with a large garden setting, like in a low-density environment. What is the alternative? It is important to balance the three elements of live, work, and play in such an environment. We need to find new inventions that will fundamentally change the way we live and the way we plan our cities. The White Paper is a great starting point for a debate. We should harness its energy and use it to shape a great city. We should put aside our differences, selfish goals and myopic views to ask ourselves what kind of nation we will want to have in 2030. The key question to ask is not whether we can house 6.9 million people. Instead, it is: What kind of 6.9 million people do we want to be? If it is a progressive society like our National Pledge says we are, we can overcome all obstacles. Are we using the right planning parameters? I STUDIED at the University of Malaya and spent many years in the Bukit Timah Nature Reserve and Central Catchment Area in the 1960s and 1970s. It was very lush then; the nature reserve today has dried up somewhat due to increased temperatures. As Singapore rapidly developed from the 1960s to the 1980s, nature reserves, especially the mangrove areas, were slowly released for development. We lost many wild areas such as Senoko and Khatib Bongsu, which were home to many birds and wildlife. We managed to save Sungei Buloh and got it gazetted as a nature reserve. In the 1990s, the National Parks Board began creating parks all over the island, and this was a good thing. Previously inaccessible wild nature spots became accessible as NParks put in amenities such as paths, toilets and lights, so more people could enjoy them. Overall, I think our sense of space has been supported by the pockets of nature spots all over the country. People could use these areas for leisure or recreation. I feel we have to take a balanced approach to conservation. The Bukit Brown and Bidadari (cemeteries) are not a big deal from that perspective, as the plants there are not important and can be regrown. But one of these days, if the planners start looking at our land banks and want to release our catchment areas, that's when we are in danger. We need to protect these areas which are truly rich in biodiversity and reflect our history. My days as a child was spent playing among giant fruit trees and running freely in many open spaces. Home was a house on Cairnhill Road. After the Japanese Occupation, my family of six moved to the MacPherson area. During my schooling years then, in the 1950s, I joined the Scouts and we went hiking all over the island, like in Pasir Panjang and Tanah Merah, as there were plenty of wild areas. I remember pitching tents with my friends along the coastline, where we would camp underneath coconut trees that provided shade. As Singapore developed, however, many of these wild areas disappeared and, along with them, hiking spots. Over the decades, my family and I have enjoyed a relatively high quality of life. Even as Singapore crossed the population threshold from 2 million to 3 million in the 1990s and then 4 million, we were comfortable. But some time in the mid-2000s, it began to get crowded. It was crowded on the roads and in hospitals. I'm unable to find parking space when going to Tan Tock Seng for medical check-ups. Waiting time has also increased. The profile of nurses began to change, from locals to foreign faces. Some are good, some are not so, and have problem communicating as they don't speak English. Now we stand at 5.3 million, we should ask ourselves: Is there no end? I support former civil servant Ngiam Tong Dow's suggestion that we should be a "second-upper" city. Why do we have to be the first? We don't need to be the best in everything. The young might leave, but they will always come back. If they see a home that gets overpopulated, why would they want to return if they feel like an alien in their own country? My own son is in the United States and has settled there. My daughter still lives with me. When home prices are high, and people cannot afford to buy their flats and it takes a long time to pay off the mortgage - that's when our youth will begin to feel like their quality of life is going down. Singapore can keep its buzz by attracting quality people, allowing the arts and culture sector to grow, to make the country vibrant. I'm sure there's an optimum population for Singapore but I'm not an urban planner. Are we using the right planning parameters? We have enough leisure and nature spots, but sometimes we can provide it and parents still won't take their children there. I see some children yell when a butterfly flies near them and it's sad because there is just not enough exposure to nature in our society. Occupation: Nominated MP, adjunct lecturer at Republic Polytechnic, former lawyer. I live in a shophouse in Kampong Glam that has been with my family for four generations. My grandfather bought it when he arrived from South Kalimantan to seek business here as a diamond trader. I'm fortunate that my family kept it, and my daughters are the fourth generation to live in it, so we have a strong sense of home and our roots. My daughters recognise the heritage value of where they are. It used to be a multiracial residential area with people living and working in their shophouses. As kids, we played with our jumping ropes along the five-foot-ways of the shophouses while our parents worked. Even though it's the same house, things around us have changed. The whole area underwent a transformation and is largely commercial today, where there are many offices, shops, bars and restaurants. Today, my family is the only one who stayed on. In the 1980s, when I left law school, I joined the Nature Society and began exploring Singapore's nature spots, which were still abundant then. We would go bird-watching and hiking, sometimes venturing out to Johor to climb its mountains. 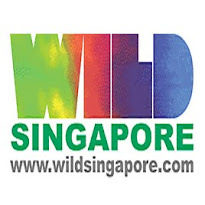 We would go to Kranji and Punggol for bird watching. I remember taking bus service 80 to the Punggol jetty, where the famous seafood restaurant used to be. It was a beautiful road, lined with trees and near the sea. It was painful to see those areas disappearing as Sembawang and Punggol new towns were developed. But as Singapore developed, the city also gained a new buzz and vibrancy. It was exciting. Overall, I would say I enjoy a high quality of life. I have a good job and my daughters are doing well. But this buzz in the past few years has grown into a noise. The noise level has grown through the decades, perhaps because we live in the city centre. Our weekends now are spent avoiding the crowds as much as we can, staying at home or going on outdoor walks such as at the Southern Ridges. It was in the past decade that I began to physically feel the increase in our population. In 2002, I conducted nature tours and noticed more foreign children. On public transport, I began to hear many different languages. In some ways, opening our doors to people from all walks of life was beneficial to Singapore. Some of my closest friends are foreigners. But at some point, the absolute number of people on this island began to show. Our planners have provided good leisure spots with great amenities and they are accessible. But I remember going to the East Coast - one of my favourite haunts - one weekend a few years ago at eight in the morning. I was surprised at how it looked like a refugee camp, with hordes of people asleep in the open along the coast. It is a popular camping spot, but it struck me then that the numbers were suddenly quite overwhelming. The sense of space has diminished most acutely on public transport, where people are now standing cheek by jowl. I'm not an urban planner or business owner, and I do understand they have concerns about Singapore's future. But we do have to plan, so that we can manage the numbers on this island. It is also important to keep certain nature and historic sites, as people are yearning for an emotional connection to something physical, in this place they call home. Our ministers have said we should be prepared for slower economic growth. This is not a bad thing. We should stop and take a breather; things will also become clearer when we stop to take time to think. We're too rushed at the moment. This is true of our Government, and true of individuals here too.